In the absence of a new Feist album this year (or better, a New Buffalo full-length), the dearth of wry, catchy female folk-pop is beginning to grow as cold and crushing as the oncoming winter. Enter Yael Meyer, a Los Angeles singer-songwriter whose sparkling arrangements and lilting voice raise her above the Hotel Cafe crowd to the air staked out by a certain one-named Canadian. 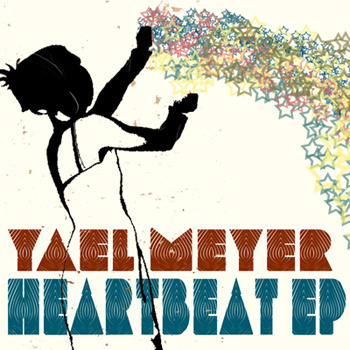 Meyer’s been absent since 2004’s Common Ground, making her new Heartbeat EP, out this week, an even more welcome release. The title track is a somber but insistent piano-driven gem that Ben Gibbard would kill to write — “I’ll traveling at the speed of my own heartbeat,” a multi-tracked Meyer sings in perfect harmony in the song’s chorus. The ukulele ode “Favorite Two” offers a brighter attitude and ramshackle chamber-pop that unwinds like a carefully restored music box. “Singing a happy song just won’t do,” she pouts. Of course it will.